As we all know – The time after IPL has never been gentle to the Indian Opener, Gautam Gambhir – He has to face injury again and agaian and that too on field which shows he has been so much dedicated to his work that he can just put everything and most importantly his health on stake just for the sake of being on the field. After the much awaited return of the showman, He did play quite amazing as compared to other players in the First test against England but he added an Injury to his list which made him rested for the 2nd Test Match against England leaving all the nation heartbroken once again as it surely adds glamour to the game when he is on the field as his aggression and determination always keeps us optimistic about the game. He still played the Third Test despite of all the misery he was in and he yet again was hit on the elbow, which shows the way destiny is playing with this great cricketer and testing his patience, but to the surprise of everyone – He still continued playing. He did return for the final Test match between India and England but got hit by the ball during a brilliant effort of catching it which was like extraordinary but unfortunate as it led to a groin injury and became the fourth and the worst injury of all. He had to rest for the Twenty-20 Match and the upcoming 5 day ODI series against England. And It shows clearly that a missing link is so vital for this World Champion Team such that his absence has led in the biggest loss for Team India and still people believe that Dhoni would have been given that MOTM – the way he is playing without any sort of injury is so so ravishing and injust to other players escpecially Gambhir, I hope he returns with a bang and as the Captain of the Indian National Cricket Team. Recuperating from a concussion that ruled him out of the ongoing ODI series against England, Indian opener Gautam Gambhir said he was struggling massively with a blurred vision and would have let the team down by staying back on what has become a disaster of a tour. 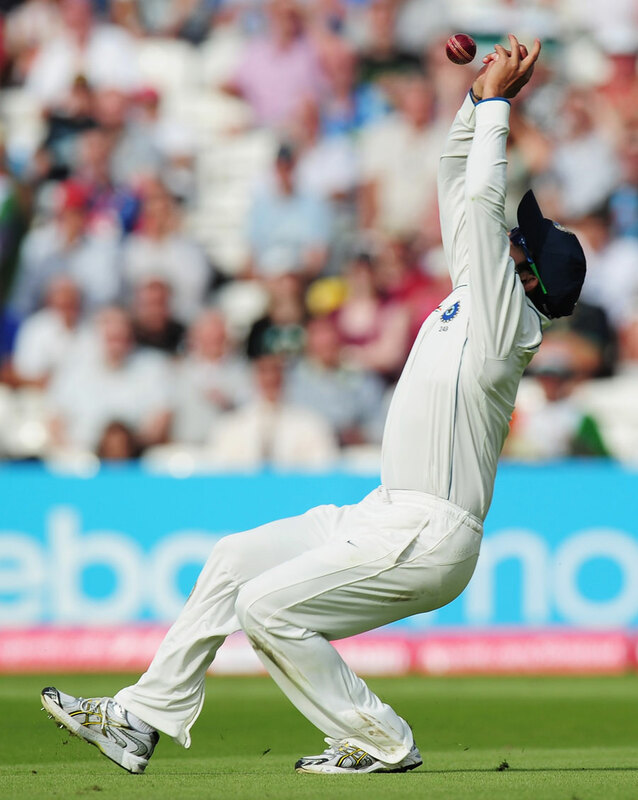 Gambhir is recovering from the effects of an awkward tumble he took during The Oval Test. The opener’s vision was left blurred due to the concussion forcing him out of the ongoing ODIs. He has been advised rest for 10 days. “The doctors said if you are still dizzy and puking, these are clear symptoms of concussion,” Gambhir told ‘ESPNcricinfo’. “If I looked down, I felt like puking. If I tried to focus on one object, that made me feel dizzy. The vision remained blurry,” he explained. Before this, Gambhir had hurt his elbow which forced him to sit out of the third Test, a decision that drew flak from some quarters with some former players suggesting that he could have played through pain and helped India’s cause. The team was whitewashed 0-4 in the Tests. “Look, you are not just blocking, which is what was required at Lord’s. This was a new Test. It was not just about time, you had to score runs, you had to field, you had to last five days,” Gambhir explained. “The pain in the elbow was massive. It might be easy for an outsider to say that it is not broken and he can play, but the pain was too much. I experienced it during the nets and the throwdowns before the match. “And an elbow injury is different from a hand injury, which was the case in Cape Town. You can bat with a swollen hand, but it is very difficult to bat with a painful elbow,” he added. “You can’t even get down to thinking of the performance when you have batted through injury three out of the six innings,” he retorted. Gambhir said playing with the concussion after that would have jeopardised the team’s chances even more. “If your vision is blurry, if you can’t focus on one object, if you can’t judge the pace of the ball or its trajectory, not only are you putting yourself at risk, you are also letting your team and your country down,” Gambhir said.